Set default expiry date for Quotes – Welcome to the NextMinute support and feedback centre. In this article we take you through the steps in setting a default expiry date for quotes. This is useful for when adding a new quote the expiry date will already be set for you instead of setting one yourself. 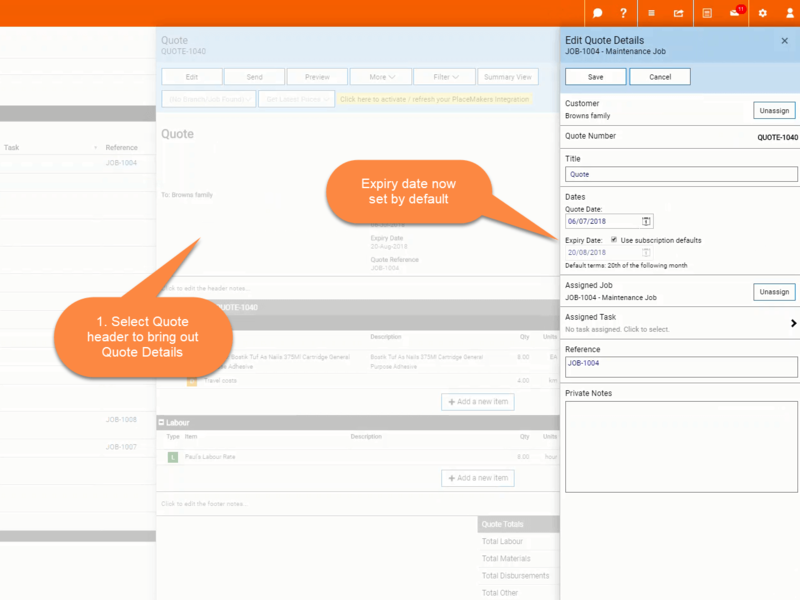 To see the expiry date within your quote select the Quote header to bring out Quote Details. As you can see below, the expiry date has been set by default.